Preheat oven to 180ºC. Place the flour, salt, rosemary, 1 cup cheddar, mozzarella and ¼ cup (30g) pecans in a bowl and mix to combine. Make a well in the centre, add the eggs, buttermilk and butter and mix until just combined. 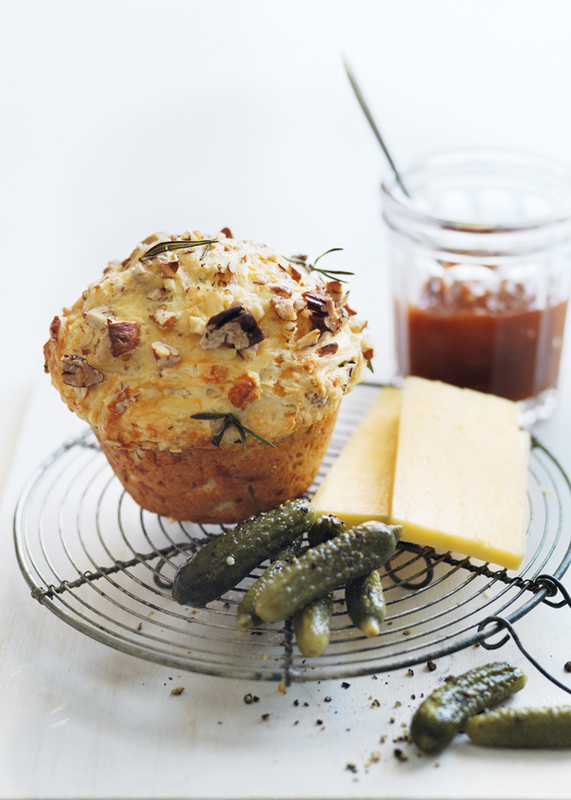 Spoon into 6 x ¾ cup-capacity (180ml) lightly greased muffin tins and sprinkle with the remaining cheddar, pecans and extra rosemary sprigs. Bake for 25–30 minutes or until cooked when tested with a skewer. Allow to cool in tins for 5 minutes. Serve with sliced cheddar, cornichons and chutney. Makes 6.